A Campus view of Temple University with the well-known bell tower in the background. 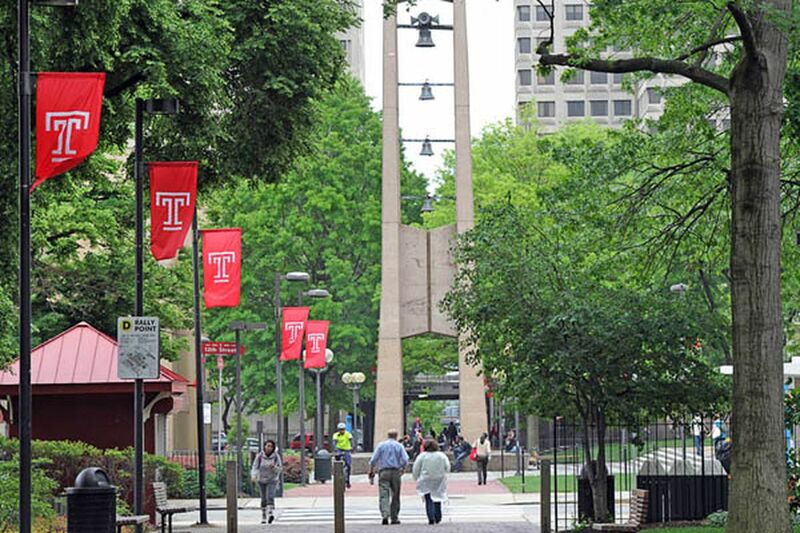 Temple University will pay $4 million to settle a class-action lawsuit filed by former students of its Online MBA program who claimed the school’s rankings scandal devalued their degrees. The university also announced late Friday that it would pay nearly $1.5 million to students in other Fox Business School programs in connection with the misreporting of data to U.S. News and World Report that rocked the North Philadelphia campus last summer. Those programs include Executive MBA, Global MBA, Part-time MBA, Master of Science in Human Resource Management, M.S. in Digital Innovation in Marketing, and Online Bachelor of Business Administration. Under the agreements, filed in U.S. District Court for the Eastern District, the university also said it would create a $5,000 scholarship for a student who wants to study ethics in business and is enrolled in any of the programs impacted by the settlement. The class-action suit covers about 968 students from the online MBA program. Nearly 2,000 students were in the other programs affected by the settlements. Also under the terms, Temple within about 90 days will issue a formal apology to students, institute a whistle-blower hotline, take additional steps to more carefully vet rankings, and provide job support to plaintiffs, including 12 months of career counseling, said Brown, who is based in Jersey City. Temple in July forced out its longtime business dean, Moshe Porat, and announced that a study commissioned by the university found the business school in some cases knowingly provided false or inflated data to the magazine about the admissions, student GPAs, and other information related to its Online MBA program. Before the misrepresentations were discovered, the Fox program had topped the national list for four straight years. Agencies including the U.S. Department of Education, the Pennsylvania Attorney General’s Office, and an accrediting agency launched probes, and the university subsequently found that inaccurate data had been reported about several other programs. Temple instituted its own review and took steps to tighten procedures for reporting rankings data throughout the university, including the hiring of an external auditor. Just how much each student will be paid is unknown. Plaintiffs will suggest a plan, which the court will decide upon, according to Temple.